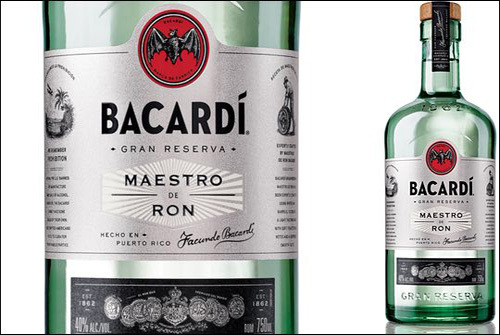 BACARDÍ Gran Reserva is a line of super-premium mixing rums that include BACARDÍ Gran Reserva Maestro de Ron, which is a double-aged white rum. BACARDÍ introduced rum lovers to this great tasting spirit at the James Beard Foundation Awards Gala in Chicago earlier this year. BACARDÍ Gran Reserva partnered with Chef Ari Taymor to create specialty rum cocktails that would be the official cocktail at the James Beard Foundation Taste America. For the second year in a row, BACARDÍ Gran Reserva is also proud to be a participating sponsor of JBF Taste America. Chef Taymor will attend two Taste America stops. One was last week in Chicago and on November 6th, you can meet Chef Tamore in Los Angeles. In L.A., also dine at Taymor’s original restaurant, named Alma. 1) The Headless Horseman – actually named after the Halloween legend. This rum cocktail is a spiced-up play on a classic Dark and Stormy. 2) Siam Daiquiri – This is spin off of Taymor’s favorite rum cocktail. He’s added Thai aromatics, which is influenced from growing up in L.A. and Thai influences. During the tour, there’s a special evening planned the begins with a walk-around tasting reception. Taste and drink the faves from from a group of popular local chefs. Next enjoy a fine dining experience and feast on a four-course dinner created between a Taste America All-Star along with a Local Star chef from that particular city. Method: Place all ingredients except coffee beans and ginger beer in a tumbler with ice. Stir and strain into a Collins glass with ice. Pour ginger beer over the top and finish with a bit of coffee beans grated on a microplane. Method: Mix together and bring to a boil. *To cold smoke the maple syrup, heat wood chips in a pie tin until they smoke, then put syrup in a bowl put them in a container and cover with foil for 35-45 minutes. Method: Mix ingredients with ice in a cocktail shaker, shake vigorously and serve in a chilled coupe. Method: Bring to a boil, steep 15 minutes, strain and cool. Make your next party or social gathering a hit by serving delicious cocktails made with BACARDÍ Gran Reserva rum. We enjoy sharing party ideas and drink recipes so return again to read our luxury blog.